I always stay away from rumors. and this one is not 100% confirmed… but I have enough corroborating evidence backing this up that I am posting. Simply, Gloucester Premium Outlets management recently told tenants that a Dave and Busters Restaurant and Entertainment Arcade Center is being planned for Blackwood NJ’s Outlets site. The location will be in the land still available around the property (probably along side Route 42, where the Applebee’s was planned). Development is targeted to start very early in 2019 after this year’s holiday shopping season, with a targeted opening for later in 2019. If all of this does pan out, its a MAJOR coup for the Simon Properties and the Gloucester Outlets, as they really need some “pizzazz” to draw shoppers to the Outlets, and probably more important… this is a HUGE steal of a deal from the Macerich Deptford Mall property, who was rumored for a few years to have been Dave and Buster’s primary desired location. While press reports at the time of the Outlet’s Grand Opening paint a friendly picture “We don’t see ourselves as competition to the Mall”, those in the industry know that its more hate than love between the organizations… especially when just 3 years ago Simon attempted to takeover Macerich with an unsolicited buyout offer. Macerich rejected the offer, did some moves to defend against the takeover, and then turned around and sold a portion of several properties to an overseas investor… one of those properties being the Deptford Mall! Macerich investors at the time were not happy the company turned down Simon’s offer, which honestly just left “bad blood” all over the place. This also fits into published reports of the widely known flagship Philadelphia Dave and Buster’s closing sometime before 2020, as a New York developer purchased the pier that they sit on. The Philly.com article states the developer is looking to develop the pier into apartments. Also, Dave and Buster’s has recently opened two (north) New Jersey locations, after former Governor Christie changed a New Jersey law which was previously restricting alcohol from being served in places where arcade games where prominent. While I am happy to see the growth in our New Jersey area, I am sad to see the 20yr old location of Dave and Buster’s close. An amazing rebirth along the Delaware Riverfront took place over the last few decades, and its very clear to me that Dave and Buster’s was the biggest reason that people who never even knew how to get to Delaware Ave started making it a regular stop. I first heard about Dave and Busters coming to the outlet from a 42Freeway reader’s comment (since deleted). I immediately messaged them and in our chat I was informed that the Simon Outlet management folks regularly hold tenant meetings. They can talk about problems in the center, and also positive new things. This person attended the meeting, where the tenants were informed “We signed a deal with Dave and Busters, the construction starts…”. It was also mentioned that a Forever 21 was planned. So a comment from someone on my Facebook page is still not enough to run with the story. So I sent several emails to government officials and several in the industry, and at least for yesterday I did not get any solid responses. So needing some summer shirts, last night I headed over to the outlets. Mr Casual shopper on a slow, rainy night just before closing, chatting up the store workers. “Wow it’s really quiet in here right now”. chatter chatter. “Hey I heard from one of the other stores that something big is coming! A big entertainment place?”. And that’s when different store employees, from different stores, independently told me standing 10 feet in front of me “Yes!! Dave and Buster’s is coming!! They told us at the last Tenant meeting!”. I got this corroborating story from several stores, and I would have kept on going had it not been close to closing time. With this eye-witness evidence, I am 100% convinced the meeting took place and the Outlet management shared the Dave and Buster’s news with the tenants. That still doesn’t mean this is a done deal as we’ve seen many plans fall apart before a shovel hits the dirt, but I felt much more comfortable running with the story now. Heck, people have been sent to jail based on less evidence. ha. What about the Deptford Mall rumors? The rumors of Dave and Buster’s coming to Deptford Mall’s Sears store location have been going around for a few years. I heard about it at least a year before NJ.com posted about it (again, I didn’t want to run with the story without some back-up evidence). I don’t know all the details of why it didn’t come together in Deptford, but one factor is available liquor licenses. 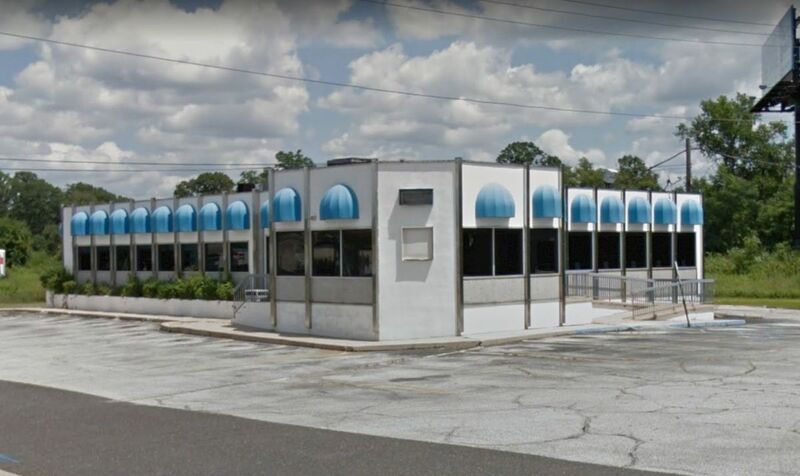 Deptford’s Restaurant corridor surrounding the mall is very strong, and from what I understand there is only ONE unused liquor license, which is owned by Wainco/Benderson for a long stalled project that was planned along Route 47 near the Route 55 exit. That license may be available, but at a very high price. Adding more to the Deptford Mall aspect of the earlier rumors is that a Dave and Buster’s recently opened up in a mall in Wayne NJ in guess what… a former Sears location. As we all know, the retail world is changing, especially for malls, and places like Dave and Buster’s are seen as awesome “traffic” drivers to bring customer’s into the location and I am sure are getting great lease deals. With stores like Sears downsizing and closing, it brings interesting opportunities to continue to evolve the shopping experience. Somewhat related, the Macerich online content for the Deptford Mall says it is their number one “foot traffic” property. While there are other malls with higher sales per square foot (High end malls in Las Vegas, Miami, and several in North Jersey), that foot traffic is very important as that is the biggest challenge retail stores face. Gloucester Township’s Dave Mayer doesn’t hide his town’s plans for economic growth. They offer a staggered 5 year (or negotiable) tax payment plan…along the lines of “for the first 5 years of the project, the taxes are paid at a rate of 20%, 40%, 60%, 80% and then 100%. Gloucester Township feels that these tax breaks are worth it even with that initial discount, as it is drawing in businesses to the town that otherwise wouldn’t have been there. And the numbers to developers are hugely beneficial… consider that a development the size of say. a Target Store, can pay $500,000 a year in taxes. I spent a lot of time following the Bellmawr Landfill project (and I still do, just haven’t posted lately) and I am very certain that what initially attracted the Outlet mall to the area was the long planned Bellmawr project. But with delays in closing the landfill and road improvements, it pushed Simon a bit to look at other area options… and just a few miles down the road is Gloucester Township “Hey, Hey over here! We have tax breaks!”. Done Deal. What is Dave and Busters? Oh I went a long way in this post without ever describing what Dave and Buster’s is! Mostly I assume everyone knows, but a short summary based on the Philadelphia location; Dave and Buster’s is a national chain which combines a Restaurant, Bar, and a huge variety of arcade and other games into one facility. Typically the facilities are around 40,000 square feet, which is large on its own… but I believe the Philadelphia location on the Delaware River is one of the largest in the chain. When you enter the building on the high-ceiling’d upper floors you see a very larger open room with an area for a large bar, restaurant, and pool tables. This alone is an impressive space… but then through the opening in the back wall you are lead to the massive arcade area which combines traditional arcade games, giant arcade games, ticket-for-prizes games, other larger and unique gaming options, and even golf simulators. 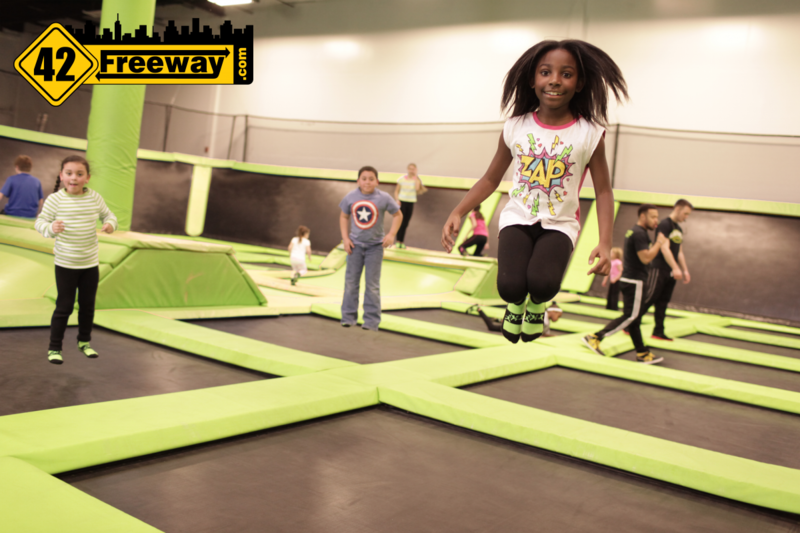 If you haven’t been there, you really need to check it out before the Philadelphia location closes. 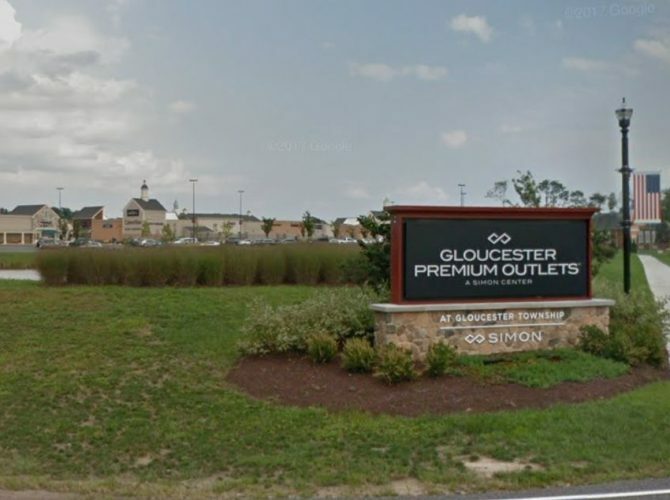 This is very exciting news for the area, huge news for Gloucester Township and the Outlets. While I am a Deptford resident I live very close to the Blackwood/Lakeland border and the Outlets are about the same distance to me as the mall. Although being a tax payer I admit I feel more than a little bummed about this one, as I know how much taxes the Deptford Mall stores pay and how important it is for the Mall and surrounding stores to continue to be successful. And while that nearby Dunkin Donuts at the Sam’s Bar shopping center seemed to take 2 years to build, Simon Properties built the entire $90 million Oulet mall in less than a year. So my “gut” is telling me we’ll see this project come together fast. When people really want something done and have the money to overcome obstacles, it happens! I’ll have more on this as the story develops. I may also have a video about the Deptford Mall vs Outlets battle! While the outlets were built in less than a year, they’ve sat relatively stagnant for almost two. The draw of a D&B in a year and a half is three years too late to drive customers to the location. They need something else – 18 months ago. The outlets are always busy when there. However, they need better food options and they need to get some of the stores other outlets have. There is no draw to come to the outlet and keep customers there. In dire need of really GOOD quality restaurants, something for everyone. That is the biggest customer feedback we hear all the time. It certainly is missing a golden opportunity to capture and keep the customer as they could shop, dine and return to the center. Let’s hope it will entice more eating establishments to join. We hear rumors all the time with no results…..all talk for the moment. Let’s let the outlets know our needs and wants and perhaps they will comply with what we, the consumer would like to see to make it a most successful center. They need a Polo outlet store in this location. They are at all the outlets that are further away. Always thought that shopping center where the Dunkin Donuts finally came would be a goldmine but they have been renovating there for years and whatever is on the mock up picture of the shopping center on the corner never materialized or it is being done at the pace of Dunkin. Everyone says there is no draw…I can tell you for a fact, that one retail store is one of the highest grossing stores in the region, for it’s company. (and it has multiple other stores within 10-15miles) No draw? I highly doubt that only 1 store is succeeding in there. Exactly. The OUTLETS are always busy. Sometimes it is even hard to find parking. 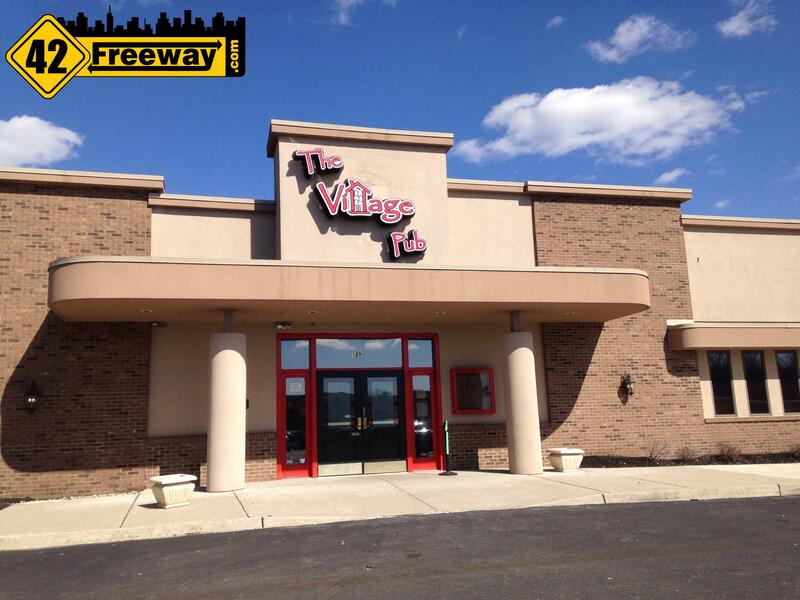 previous post: Favorites Off-Track Wagering and Sports Bar. Derby Bets Start Friday May 4th!